FINALLY – Nava sits down and actually reviews a couple of fragrances; about bloody time, right? For your olfactory pleasure, I have another talented Canadian natural perfumer I must introduce you all to: Jessica September Buchanan of 1000 Flowers. Jessica is currently located in the “wilderness” of Western Canada, otherwise known as British Columbia, where lately, if you’re not careful, you might make the acquaintance of a bear while cruising through the drive-thru at Tim Hortons. Yes, bears; I’m not referring to Hugh “The Bear” from “Ice Road Truckers”. Jessica’s background in essential oils and clinical aromatherapy lead her to France, where she studied at the Grasse Institute of Perfumery. After graduating and interning at two well-known perfume houses, Jessica set up her own shop and has introduced two very impressive scents, which I’ve had samples of since late July. I’ve been waiting for my nose to recover from my medication “mishap”, and now I can tell all of you that the schnoz is back in top form and rarin’ to go. Réglisse Noir (Black Licorice): For many, licorice scents are a tough sell because I don’t think a lot of us want to spend our days smelling like a bag of Nibs. There are, however, some artful licorice scents out there: Hermessence Brin de Reglisse, an amalgamation of black licorice and lavender, and Eau de Reglisse by Caron. There was a scent by the cosmetics company Hard Candy available about 10 years ago that was heavy on the black licorice, but alas, it now resides on the island of discontinued scents. Jessica’s Réglisse Noir is the most complex black licorice scent I’ve ever smelled; it is comprised of white pepper, ozone, mint, shiso leaf, star anise, ginger, licorice, cocoa, patchouli, vanilla, vetiver and musk. It is spicy, warm and slightly masculine; the patchouli and vetiver in the drydown keep it from becoming cloying, and the star anise and ginger in the middle give it a nice tang. This is not a foody scent, but one that you’ll want to snuggle into like a favorite blanket on a chilly night. I’m glad I held off on road-testing it until the weather cooled off a bit; this is definitely a cool-weather comfort scent if ever there was one. 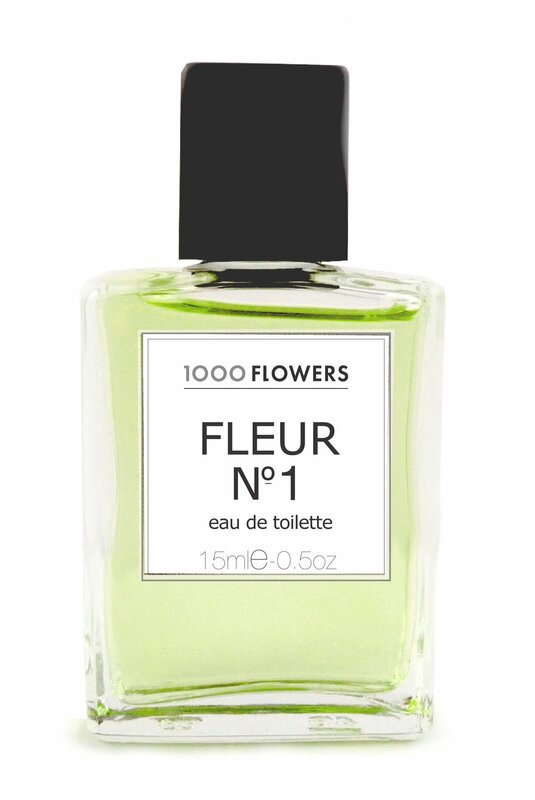 Fleur N°1: OK, all my vintage Jezebels out there (you know who you are) – listen up: You HAVE to try this one. I’m no expert by any stretch, but this scent is proof that Jessica aced her classes at the Grasse Institute. This masterpiece screams ladylike; think Parisian ladies who lunch, Jackie O and Elizabeth Taylor artfully combined and dabbed on the pulse points. The notes are narcissus, orris root, white magnolia, hyacinth, moss, the forest in Spring, new baby leaves, wild violets in the sunshine, melting snow and cool wet earth. My skin pulls out a lot of moss, cool wet earth and the fruity-duskiness of orris and magnolia. I’ll admit that I feel a bit like a cross between Dame Edna and Queen Elizabeth in this one; I’m not one for ladylike floral, but it is breathtaking. To my nose, it is reminiscent of Creed Spring Flower; another scent I appreciate, but would never wear. If I go back far enough in my olfactory memory bank, I can almost smell the Emeraude coming out of my mother’s closet. Right now, you can snag 15 ml of Réglisse Noir on Jessica’s Web site for $23.00. It’s regularly $45. Fleur N°1 is also on sale for $41.25 for 15 ml. Yes, they are a bit more expensive than traditional fragrances; they are made with natural and organic materials. And well worth it, I might add. Thank you for bringing up this seldomly mentioned line! I fell in love with and bought réglisse noire some months ago and it is already on my fast rotation, it could become a staple as soon as autumn sets in. I’m thinking the same thing, Bee. It’s definitely a fall scent! “Vintage Jezebels?” Oh, I’m SO in for that one! Nava- you have to stop writing reviews, because they are bad for my credit card. ha!! Seriously, now I must try No 1. I am totally a vintage jezebel! 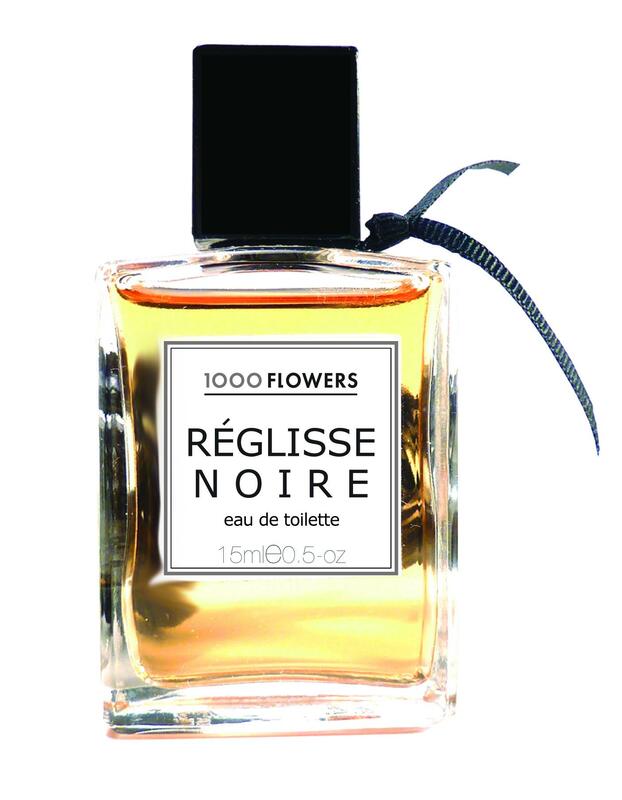 Réglisse Noir so sounds like something I would want to bathe in. Yes, it is vat-worthy for sure! I’m so tempted to order the 15ml of Reglisse Noir – the website only shows in Canadian dollars. Do you know if it’s possible to order from the US? I believe Jessica ships all over. She has a PayPal checkout so the conversion will be done for you. WOW! $23 – that’s like FREE! Going to order it unsniffed. Nava, I’ve been tempted to look for a sample of the Réglisse Noir but that “ozone” note scares me a little… How noticable did you find it? I’m curious what others think, but I think the main notes are the licorice-star anise combo, developing in a dense, complex scent, I don’t notice the ozonic note at all (or I’m not trained to recognize it). I’m with Bee on this one, Janice – the ozone note is negligible – at least to my nose. I had been tempted by Fleur no. 1 before… and now you say things like “ladylike” and “vintage jezebels” (wait, isn’t that a contradiction in terms?? never mind)… and it has NARCISSUS?? Grr. Off to check the exchange rate from CAD to USD. Interesting–ozone and licorice sound initially awful, and then I warm to the idea. I’m fascinated. The ozone note is not prominent in this scent. I have been on a staunch “no buy” streak for months now. This is the first (okay, that’s a lie… the first in a long time, as in, weeks) time I’ve been sorely tempted. Yes, these scents might be more per ml than many others, but SHE OFFERS 15 ML BOTTLES!! HOW COOL IS THAT?!? Should I really break my no-buying streak for something unsniffed?? ahhhhhhhh why did you do this to me?! Ah, if only Fleur no1 had the lesser price. . . don’t know if $40 on unsniffed is justified. I could gamble $23, but not on hateful licorice. Hi, Nava! A very kind friend (thanks, S!) sent me a sample of the Reglisse and I really enjoyed it. Now I’m tempted to try the Fleur. Ooooh, she’s got another one out? I have to try that. I won a little bottle of Reglisse Noir a while back and really, really like it. It was such a revelation to smell, as I had no idea you could take the smell of black licorice and turn it into something so lush, complex and beautiful. On me it’s very feminine, and my other half really likes it. I love your reviews on Canadian fragrances, Nava. This fellow Canuck thanks you. I made it over to Lark in Vancouver and did some 100 Flowers spritzing (but I did NOT spend $500 on a coat, despite its being on %50 sale). The Fleur No. 1 was unmemorable to me, but I thought the Reglisse Noir would make a great men’s cologne, ie I would happily sniff the neck of any man wearing it. If you don’t like licorice, though, stay well back. Sigh. Bought 15ml unsniffed. I love liquorice but don’t want to smell like Allsorts, this sounds intriguing. I live in UK and was lucky enough to spend time in Canada (Saskatchewan)years ago. THIS IS NOT SPAM OR A COMMENT! Hey fellow webmaster, In case you are looking to make commission money with your internet site it’s best to look at: http://ow.ly/6syvk You won’t get wealthy overnight but it’s some very easy passive income. Did I say thanks yet for the heads up? I ordered a bottle and I’m obsessively checking the mail.